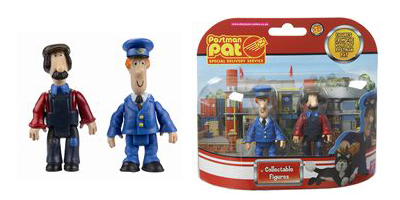 Character Options two figure collectable Postman Pat SDS packs. 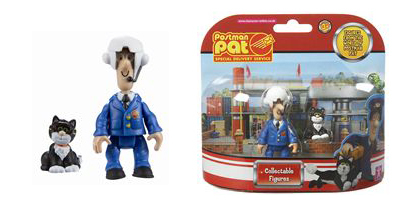 Year of first release 2010. 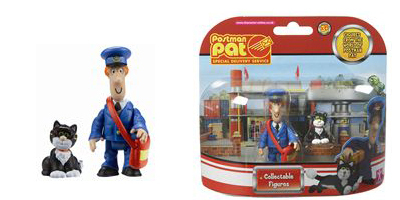 Postman Pat and Ajay Bains. 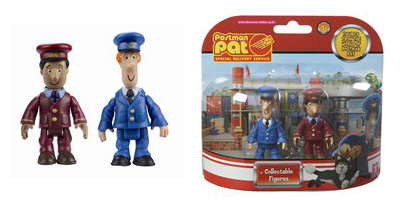 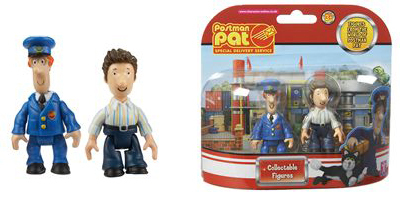 Note, the earlier Character Options Postman Pat figures do not have the red and yellow SDS logo on Pat’s jacket.